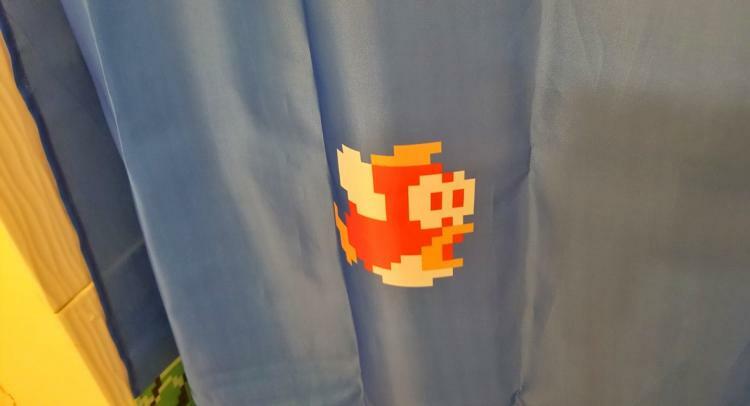 I think we can all agree that the underwater level is quite possibly one of the greatest levels on Super Mario Bros on the NES, well now you can experience the swimmingly awesomeness of this level everyday (assuming you shower everyday) in your shower as it's been made into a shower curtain. The unique Nintendo shower curtain drops you right into level 2-2 on Super Mario each time you close your shower curtain. 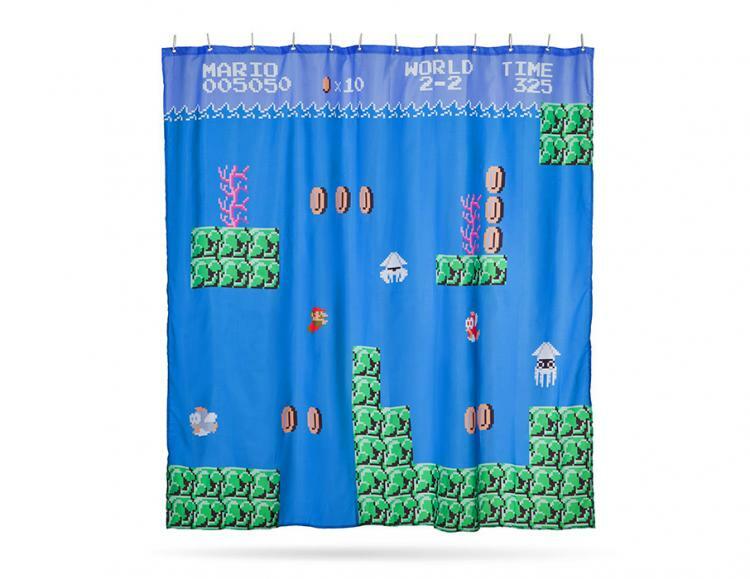 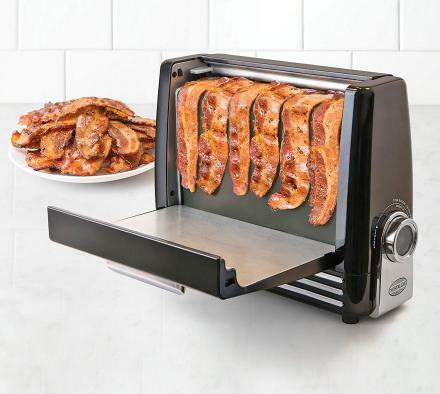 It's even double-sided so that not only do you get to enjoy the beautiful graphics of the Mario underwater level while you shower, but everyone else who walks in on you showering gets to enjoy it as well. 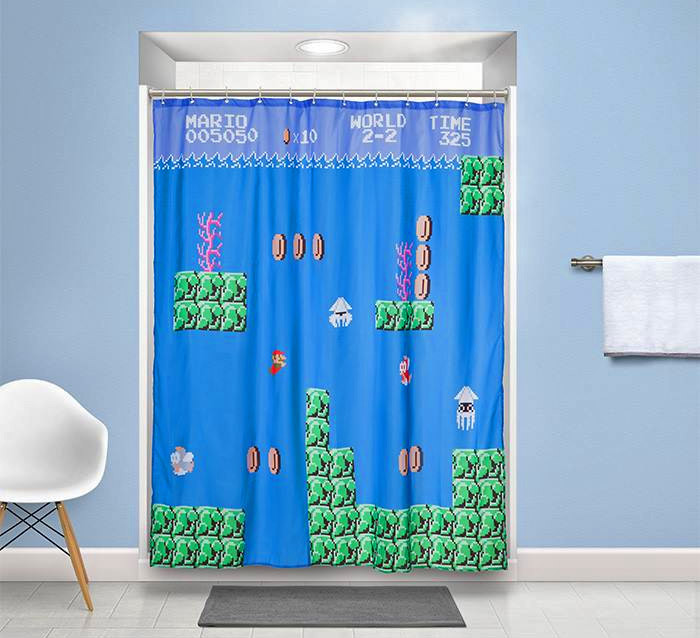 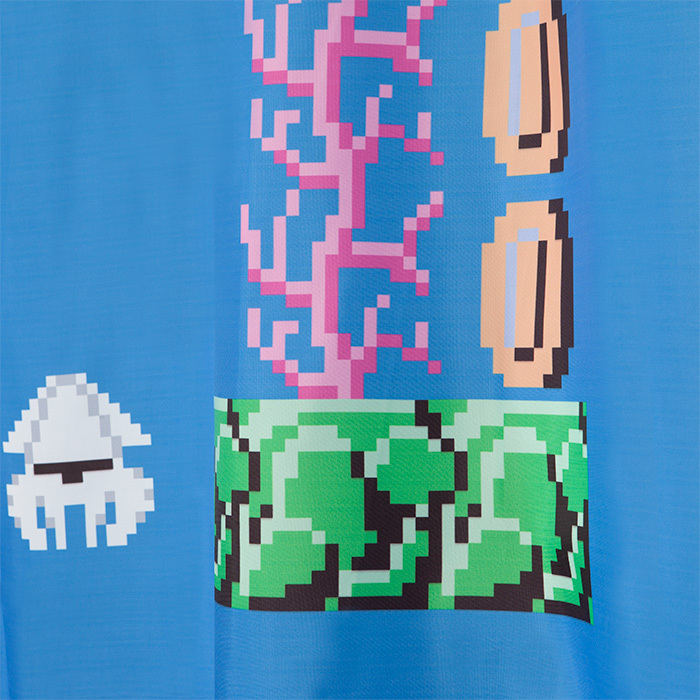 Officially licensed from Nintendo and exclusively sold by ThinkGeek, the underwater level Mario shower curtain is made from 100% polyester, and has a reinforced top with metal grommets that connects to any standard shower curtain pole with hooks. 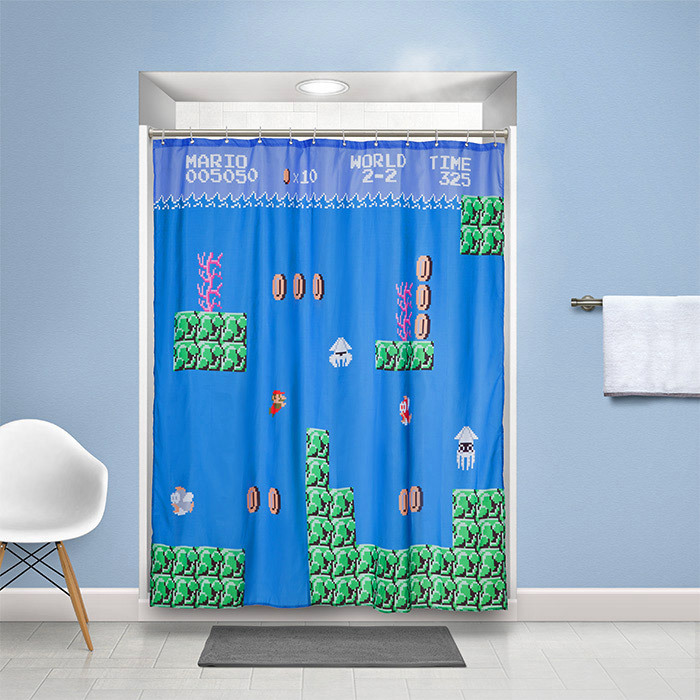 The Super Mario water level shower curtain should be cleaned by machine washing on cold and hanging to dry, is meant for ages 14 and up, features extra bright blue, green, and red colors, and measures 70.5 inches wide x 71.5 inches tall. 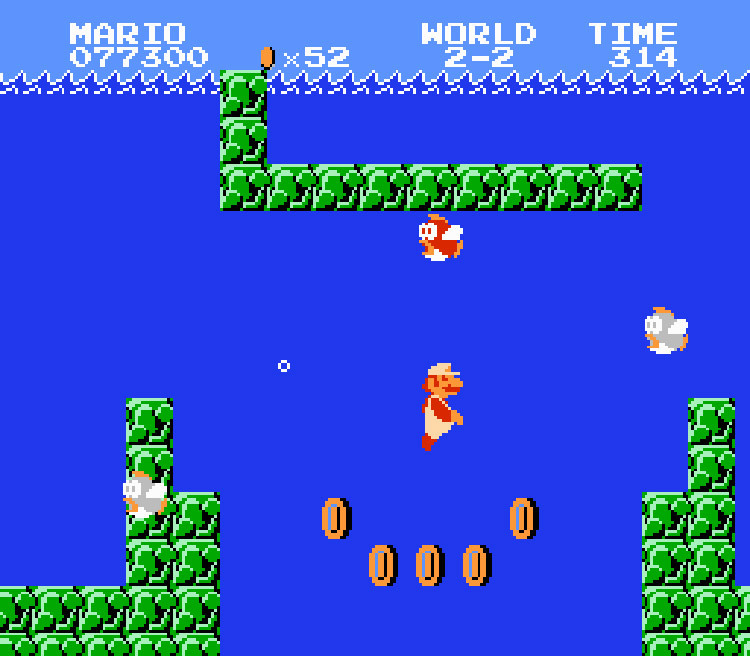 Check out that amazingly nostalgic underwater Mario level in action via the video below.